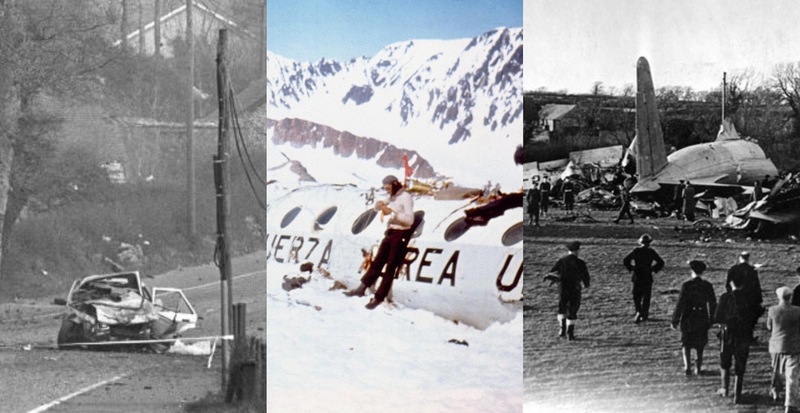 18 Bury St Edmunds Rugby Club members and supporters killed in the 1974 Paris air crash. 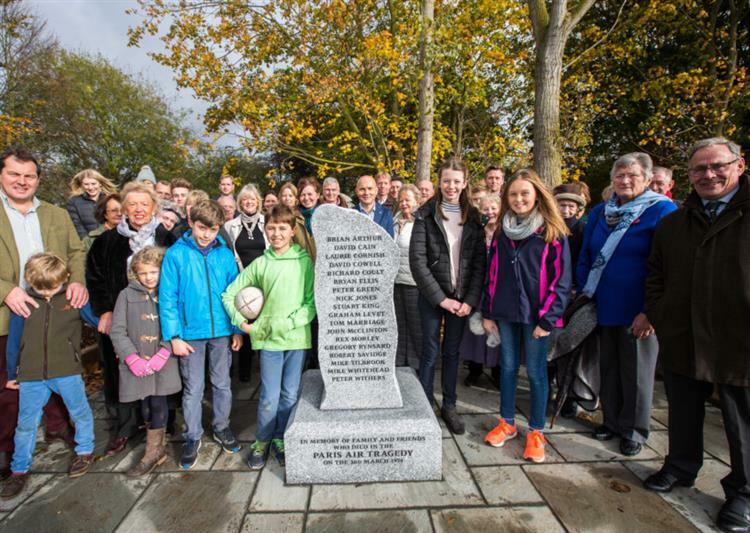 The granite memorial, inspired by a larger one at Ermenonville near Paris, was unveiled by John Cousins, the last surviving member of a club party who had flown to France to see England play. John had been one of a small group who decided to stay in France instead of catching the ill-fated Turkish Airlines DC10 from Orly on March 3, 1974.